WIWW: army green - The Mrs. & Co. This has to be one of my favorite outfits! When I went into J.CREW the day I bought it I had so much fun! The sales lady kept bringing back outfit after outfit! 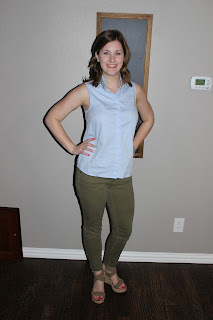 I knew I was only going to buy one outfit, but having outfits put together and brought to you was too much fun! 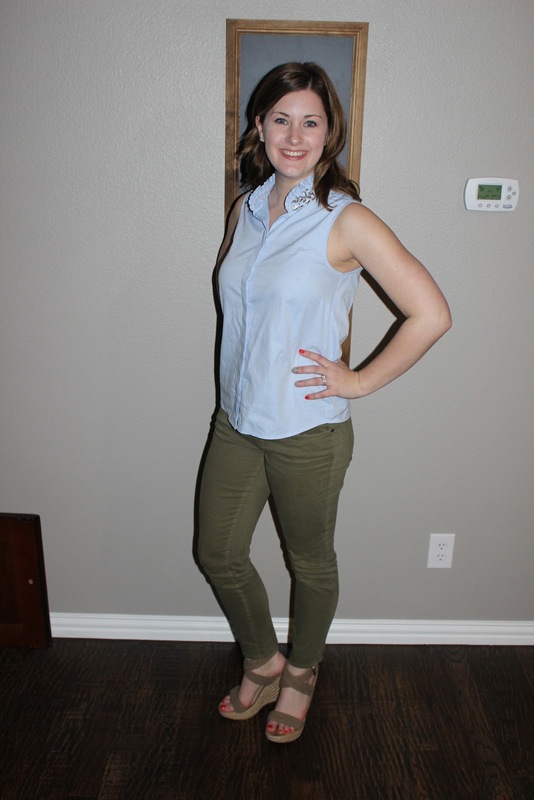 She was the one that paired the army green jeans and blue oxford rhinestone shirt. I would have never thought to do it! My favorite part of the blue shirt is the collar. So much fun with a pop of bling! I paired the outfit with my favorite Steve Madden wedges. (similar) They wrap around my ankles. LOVE them! Linking up with The Pleated Poppy and Get Your Pretty On. Simple. Put together. PERFECT. 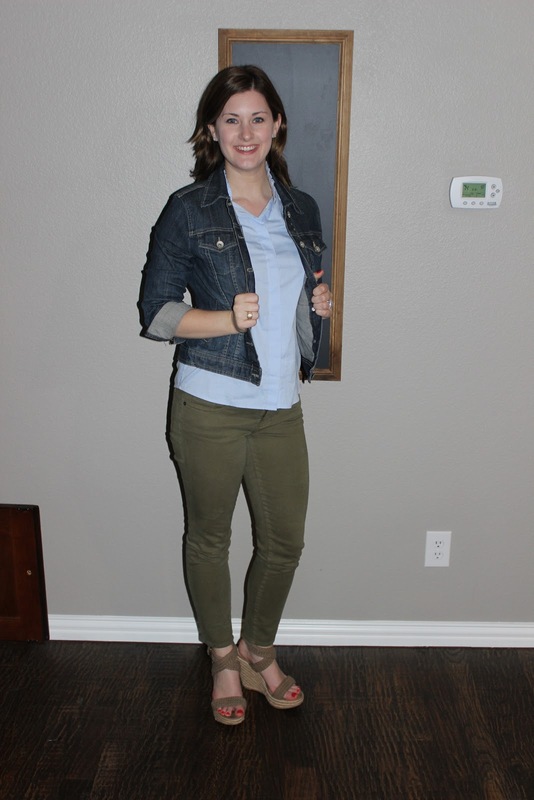 I love this combo, especially with the denim jacket. Thanks for linking up!